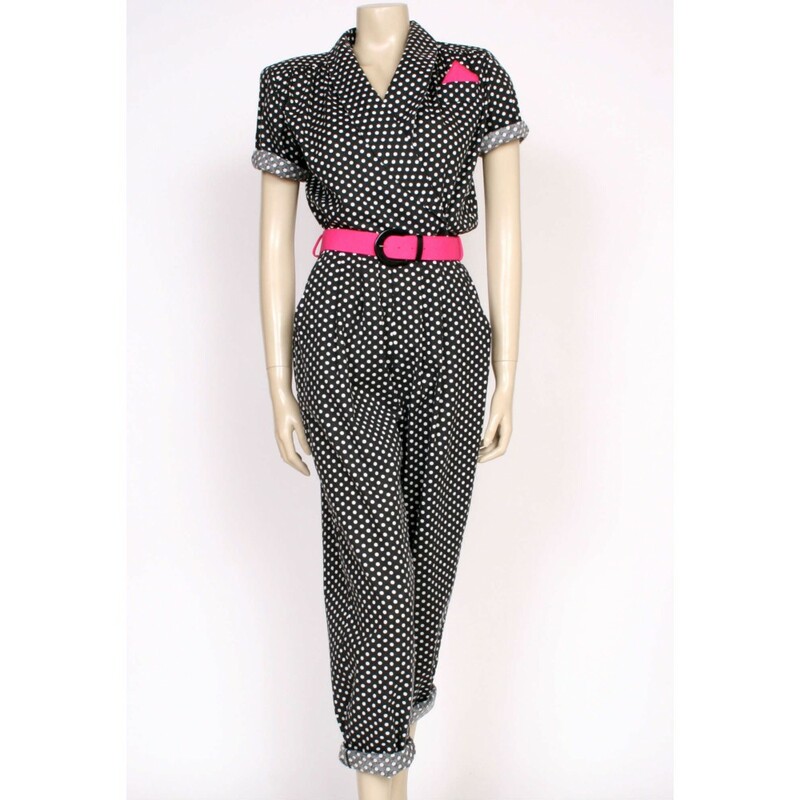 Super cool 80's jumpsuit, great alternative to a dress for weddings and parties, you can dress this one up or down, killer heels or flats, a really ace item to add to your wardrobe! 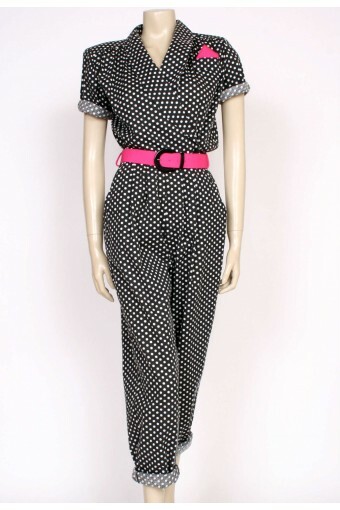 Soft cotton, black with white polkadots, elasticated waist, side pockets, short sleeves, crossover front and pink belt and top pocket detail, whoop! 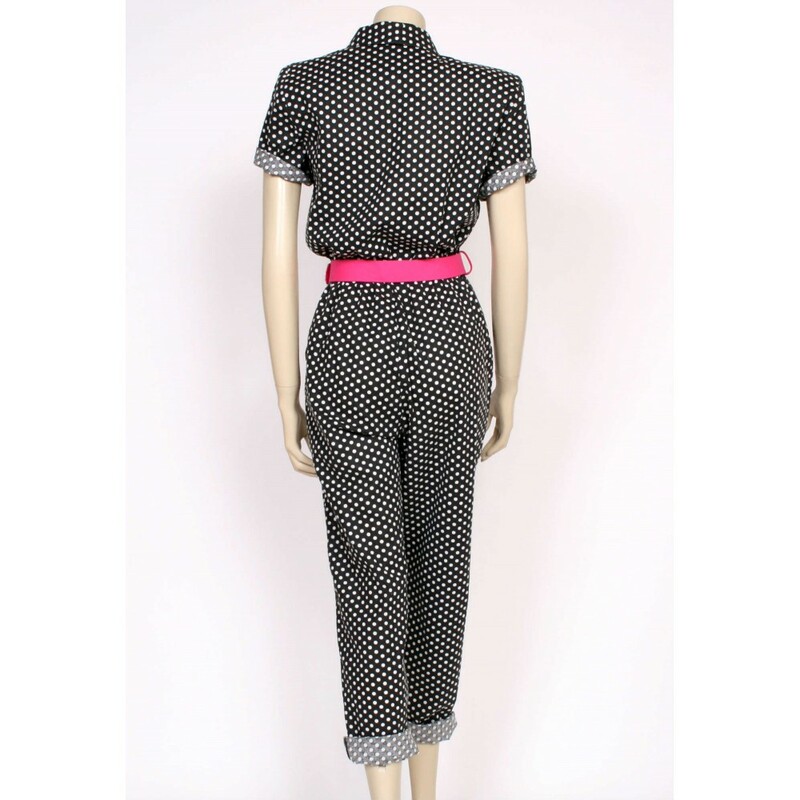 This jumpsuit has shoulder pads which can be easily snipped out if you prefer! 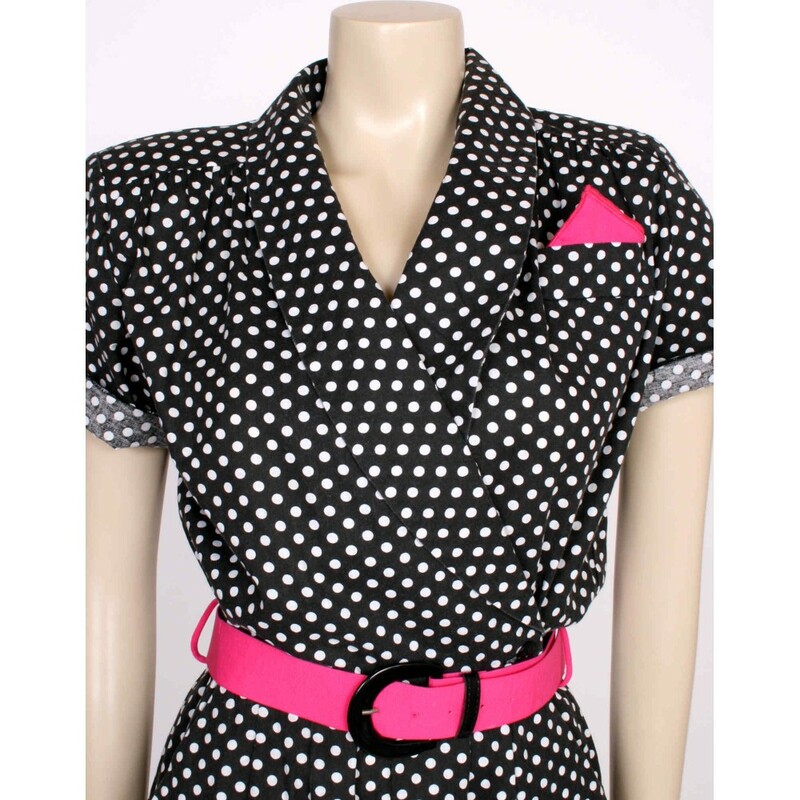 Turning up the sleeves and hems is optional! 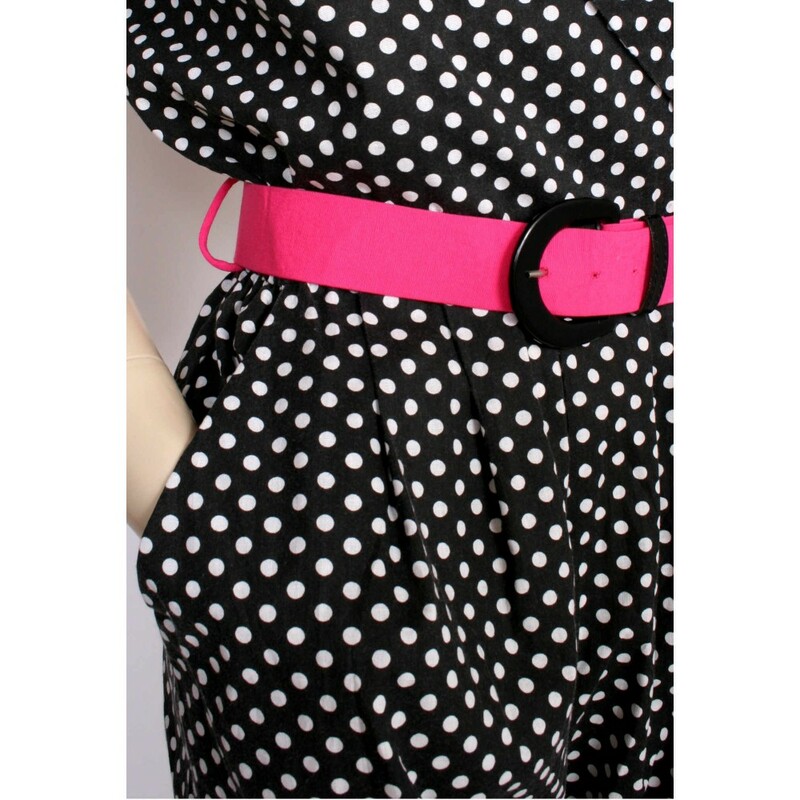 Size UK10-12; bust 36-38", waist 28-29", length from waist seam to hem is 38.5"